I have been using wedge makeup sponges for a long time. Probably right from the beginning. I always loved how it gave me a more natural look as opposed to a painted on goopy look. 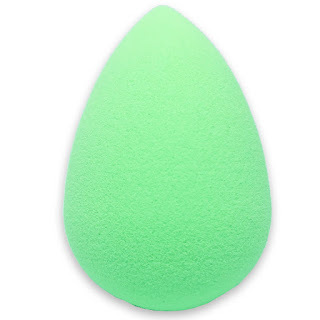 I have been seeing more of the egg shaped makeup sponges on the market and really wanted to give them a try. I was thinking that they would be better around around the eye area because of the smallest tip on the egg and boy was I right. Love this new makeup sponge. What I am always loved about both my wedge and egg shaped makeup sponges is that I use less product, which means less money being wasted out of my pocket in the long run. When I am done I just wash my sponge with the same soap I would use on my face then air dry in between uses, Fits well in your makeup bag or purse. Looks great and does a great job. Can be used for makeup, moisturizer, bronzer, etc. Perfect coverage, looking natural, not fake. I just moisten with water before starting. I mix my spf and foundation together so that I have a nice even color while being protected from the sun at the same time. You can find the JGOB makeup sponge on Amazon. Our premium Neon Green makeup blender beauty sponges are made from the highest quality materials we could find. No expense was spared in the making as we wanted to provide the most superior makeup sponge we could offer. It has a curved surface which helps contour hard to reach spots of the face and will not absorb too much makeup preventing waste and helping your makeup products last longer. Disclosure: MarksvilleandMe received one or more of the products mentioned above as part of a promotion with Tomoson and JGOB. Regardless, MarksvilleandMe only recommends products or services we use personally and believe will be good for our readers. Some of the links in the article may be “affiliate links.” This means if you click on the link and purchase the item, I will receive compensation. If you would like MarksvilleandMe to review a product or service please contact us at marksvilleandme@gmail.com.